Lara Croft GO (game, 2015). A turn-based puzzle video game by Square Enix. Official Trailer. Lara Croft GO is a turn-based puzzle video game by Square Enix. 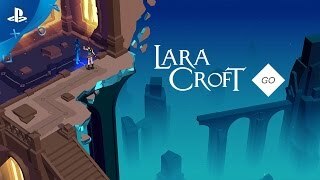 Lara Croft GO - PlayStation Experience 2016: Launch Trailer | PS4, PS Vita. 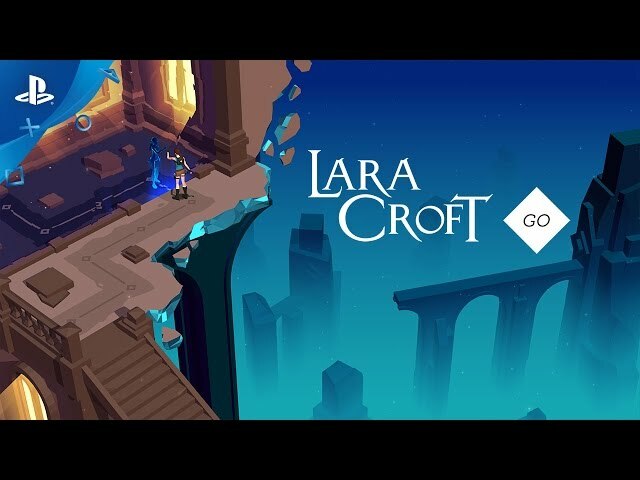 Lara Croft Go is a turn-based puzzle video game in the Tomb Raider franchise. Its core gameplay and control scheme is similar to its predecessor, Hitman Go. Levels are composed of interconnected nodes and lines. The player controls the series' protagonist, Lara Croft. The player and the environment take turns, in which one rests while the other moves. During the player's turn, the player moves Croft one unit between connected nodes in the given direction. While Croft rests at the node, enemies and obstacles on the board simultaneously take a turn to simultaneously move one unit. While levels in Hitman Go were restricted to the horizontal plane, Lara Croft Go adds vertical movement with steps, cliff faces, and climbable terrain incorporated into the level design. The game contains five chapters and forty levels in total. As the player progresses, the game's puzzles become more complex. Successive levels introduce new game mechanics and enemy types. Enemies take the form of deadly creatures such as snakes, lizards, and giant spiders. Each enemy type has a specific movement pattern. Single-use items, such as spears, can be collected on levels and then used to dispatch enemies from a distance. Other mechanics include obstacles such as boulders, saw blades, and traps to avoid. The player can activate levers, which shift walls and platforms to open paths through the level. Lara Croft Go also features optional in-app purchases, which provide hints to the puzzles. Lara Croft Go is a turn-based puzzle video game in the Tomb Raider franchise. Its core gameplay and control scheme is similar to its predecessor, Hitman Go. Levels are composed of interconnected nodes and lines. The player controls the series' protagonist, Lara Croft. The player and the environment take turns, in which one rests while the other moves. During the player's turn, the player moves Croft one unit between connected nodes in the given direction. While Croft rests at the node, enemies and obstacles on the board simultaneously take a turn to simultaneously move one unit. While levels in Hitman Go were restricted to the horizontal plane, Lara Croft Go adds vertical movement with steps, cliff faces, and climbable terrain incorporated into the level design. The game contains five chapters and forty levels in total. Lara Croft GO was scheduled to be released by Square Enix on August 27, 2015, on December 3, 2016 and on December 4, 2016. This video game is available for the following platforms: iOS, Android, Windows Phone, Microsoft Windows, PlayStation 4, PlayStation Vita, macOS, Linux. The game had received PEGI 7 rating.